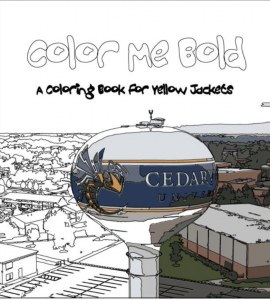 This was a Cedarville-themed coloring book containing drawings designed by students. Coloring pages included intricate designs, pictures of favorite CU memories, and crossword puzzles. This book was made up of 50 different coloring pages and sold for $10. 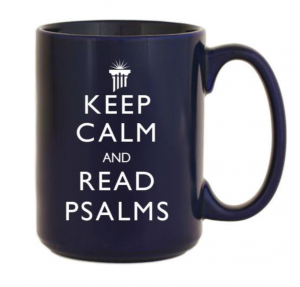 This 15 oz., cobalt blue, ceramic coffee mug with white lettering displayed the phrase, “Keep Calm & Read Psalms.” Above the phrase was the “Pillar and Sunburst” logo. This product provided a coffee cup for students while serving as an encouragement to read the Psalms. These mugs were priced at $10, and were available for all who wished to purchase them. These customized pair of Cedarville themed crew socks were designed to promote campus unity. 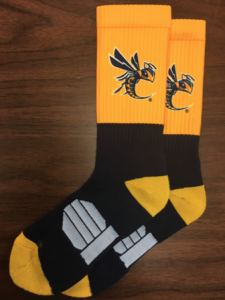 These crew socks featured the Yellow Jacket logo wrapped around the mid-calf. Socks were priced at $18 per pair and were sold to individuals who were wishing to show off some school spirit. 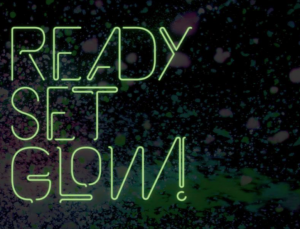 Ready, Set, Glow was an event that put a new twist on sports and entertainment. This event took place on October 22, 2016 from 8pm-12:30am. Tickets were sold starting a week prior to the event on October 15 and came in the form of a paper wristband that needed to be worn during the event to be able to participate. General Admission tickets were $10, while tickets that also gave participants access to the DTR show after the Glow Event were $11. The first 100 students to buy a ticket received a free Bill’s donut. This was a new version of the Moonlight Madness T-shirts. 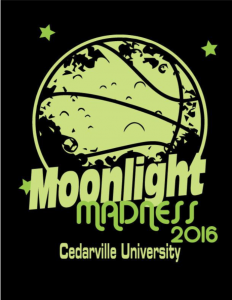 This shirt was used to promote the Moonlight Madness event in November, which is the kick-off event/pep-rally for the Cedarville Basketball team. On the front side, the shirts featured a full moon graphic that glowed in the dark. The shirt also featured the slogan “Moonlight Madness” with Cedarville University and the year listed on it as well. The backside featured the IBC logo, and “#BackTheJackets.” They were sold for $10 prior to the event. 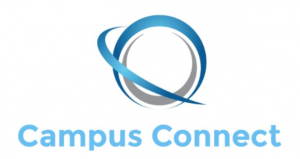 Campus Connect was a service that provided a marketing medium between local business and the Cedarville campus. These marketing services were designed to promote awareness for any aspect of a business. 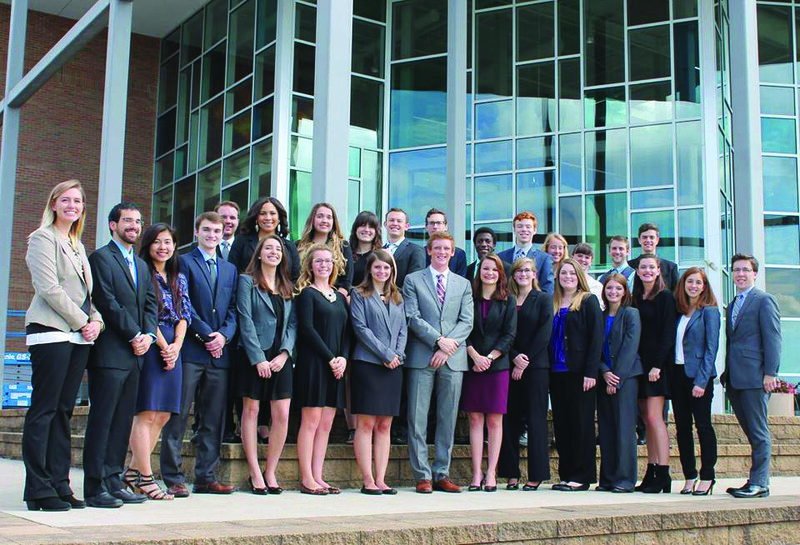 The way this product served participating companies was through a weekly email sent to participating students. This email contained advertisements from various local businesses and at least one coupon or discount designed for the upcoming weekend.